TEGUCIGALPA (Reuters) – Honduras on Sunday described Jerusalem as Israel’s capital and said it would open an office there for trade to complement its embassy in Tel Aviv, but it was not immediately clear if the news marked a formal change in its policy toward the holy city. Officials could not immediately be reached to clarify whether Honduras had formally recognized Jerusalem as the capital of Israel, following in the footsteps of U.S. President Donald Trump, who last May moved the U.S. embassy to the disputed city. Plans for the “immediate” opening of the Honduran trade office were also announced on Twitter by President Juan Orlando Hernandez, who has in recent months signaled that his government is mulling moving the Honduran embassy to Jerusalem. Hernandez, an ally of the United States, is in Washington to participate in a conference on U.S.-Israeli relations. The Honduran foreign ministry said in a statement that Israel would in a reciprocal gesture open an office for cooperation in Tegucigalpa, giving it diplomatic status. 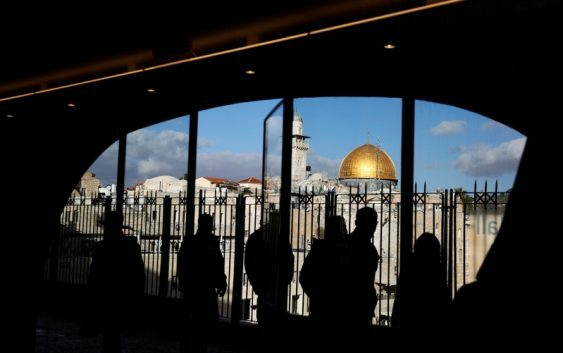 Honduras’ Central American neighbor Guatemala in May moved its embassy in Israel to Jerusalem after the United States, fueling expectations that Hernandez might follow suit.